Most of my Blogging friends know I'm a sucker for celebrations and holidays. :) Every month on the 14th, Alex and I celebrate our anniversary. Our official yearly anniversary is March 14th, but I think that it's fun to have a special romantic dinner to celebrate our months together as well! 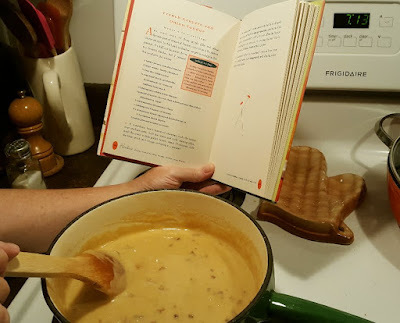 So, the 14th of each month has become "fondue night". The other night I made a French Gruyere and Onion Fondue...oh gosh...I can't describe the delicious flavour, it was out of this world. 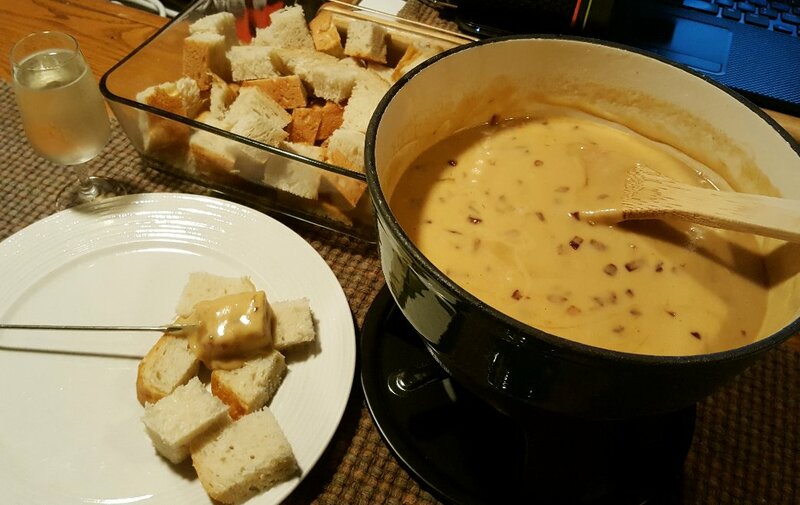 I like to share our monthly fondue with my friends, to encourage you to MAKE FONDUE!!! :))) It's such a comforting meal! Sure, it's fattening...but I'm getting ready for winter after all right? ;) With some homemade bread and a glass of white wine...what could be better? 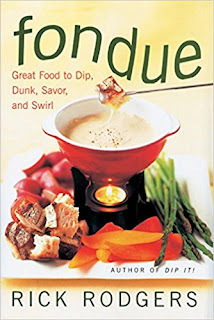 Alex got me the fondue book last spring and it encouraged us to buy our first fondue pot together. With winter just around the corner, Alex and I spent an entire day closing up the summer garden and preparing the yard for winter. I brought in all my herbs and my lemon tree to my "winter window garden". 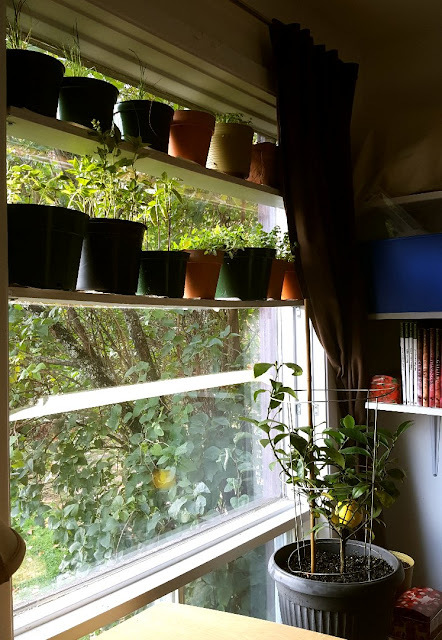 :) There is one more shelf I have to put up for any additional plants I'm going to start this winter. I also want to find a way to grow lettuce indoors without having little feline bite marks all over them. And look, another lemon! That will make 4 lemons this summer that we were able to grow! I wish we could get more, but one day I'll have more lemon trees now that I know they can handle the climate! My garlic patch is planted and my winter garden is all ready for the cold frames. We'll be tackling that this week. Maybe then I can get back to some knitting! So here it is, the pumpkin harvest! :) Just one turned orange, but that's okay. They will sit on the front stairs until Halloween when they will receive their carved fate! I'm in Halloween mode and I'm getting some great ideas. Any to share? Put a link in the comments if you do please!! Here are a few good ones I found online! (if there was a recipe, I included the link to it, you can get there by clicking the photo). Rain you are such a free spirit, I love it. I love that you do all these things like summer and winter gardens, making cheese and fondue. Love it. Go on the internet to Pinterest and check out some of the cool things to do for Halloween. Bet you can find some neat things you will like. Loving the pumpkins. Oh, that coffin bread dip is just TOO funny! Love your orange pumpkin too -- it's a beaut! I've never carved a green pumpkin before -- I wonder if it will be tougher? Let us know! Cute Halloween ideas. Your pumpkins grew pretty well. The food ideas look incredible! 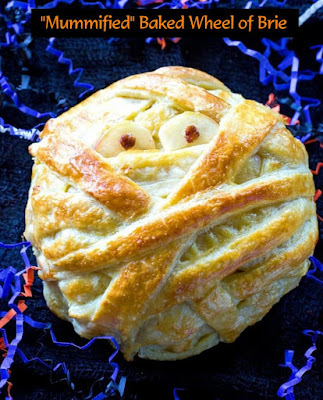 Those ideas for Halloween food are great! Each one better than the other. My harvested pumpkins are surrounding the hand pump on our well and I'll get a picture of them on my blog soon. I, too, have some green ones. Don't give up on them though as I've had them turn orange even after being harvested. If they don't . . . well, there's always that can of orange spray paint! I like your Halloween collection. 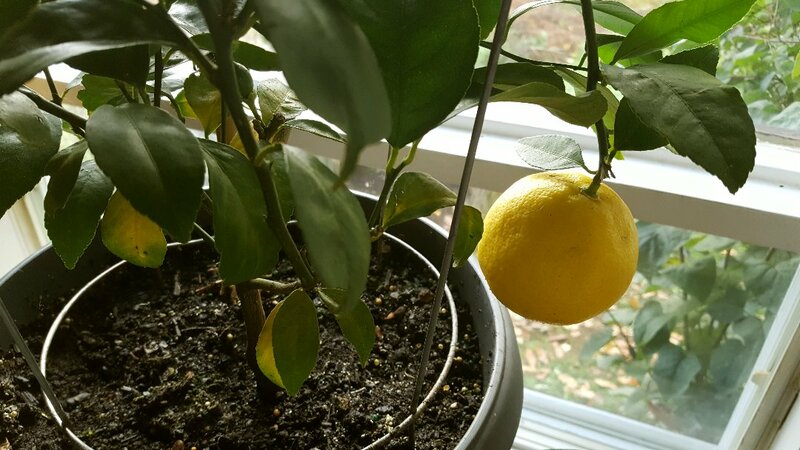 Is it difficult to grow a lemon tree? It makes a great houseplant. 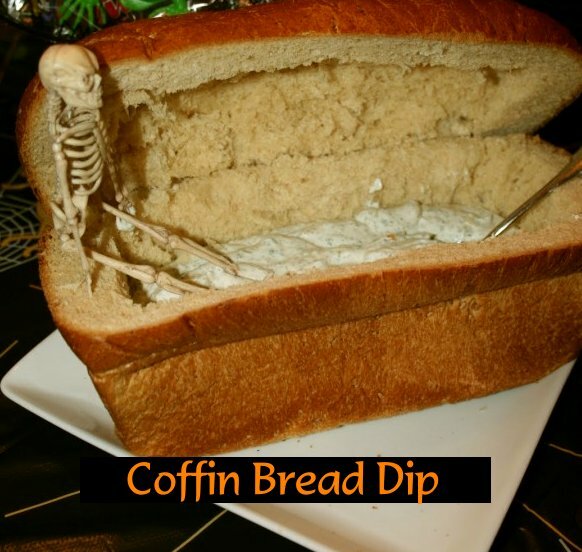 The coffin bread dip! LOL I love that one. What great ideas for Halloween. Your orange pumpkin turned out to be one of those perfect pumpkins you see at the stores. The only difference is that you grew it on your own; something to be proud of. I really envy your little lemon tree and I'm going to have to try and grow one. Did you buy it as a young plant or did you grow it from seed? So cute. Everything is looking good, Rain. I can't wait for my grandson to be old enough for me to make him a hairy spider dip! 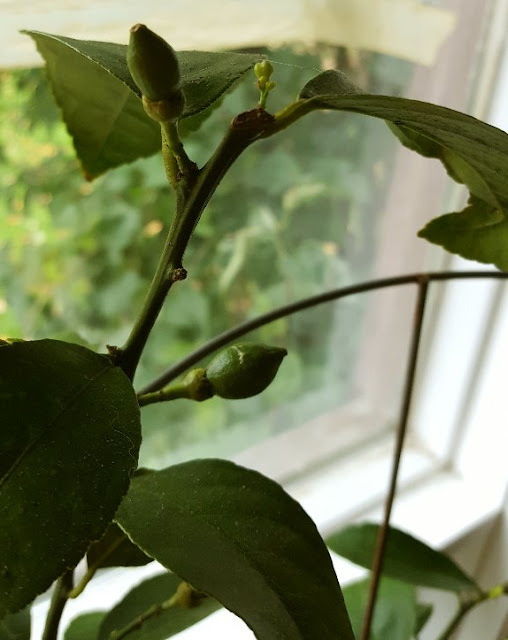 My lemon trees don't much like being inside in the winter, I have a real battle with scale insects and sooty mould, so you are doing very well with yours. It's always good when things warm up enough for me to bung them outside. The pumpkin may keep changing or you can spray it orange! There was a fondue pot at the Thrift Store the other day and I was so tempted! I may have to go back and see if it is still there. Your fondues always look so yummy! I don't drink white wine unless there is one you can suggest...I only drink my red Mad Housewife which I really enjoy....can I drink red with cheese or does it ruin the flavors? 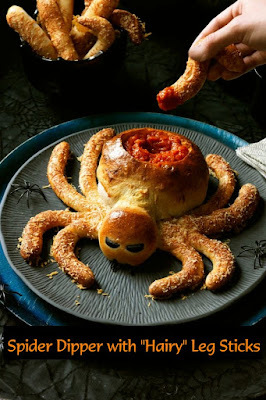 Cute Halloween dishes. I don't entertain so I probably won't go to that trouble but the fondue on Halloween sounds great to me....a real treat! Look at your green thumb!!! 4 lemons? How do you do it? I need to know your secrets as I seem to kill off houseplants. I need to bring mine in too. Is there a way to keep basil through the winter? Every year I try and it dies off...do I need to prune it? I know it tends to get bugs so I spray it with detergent water for those. 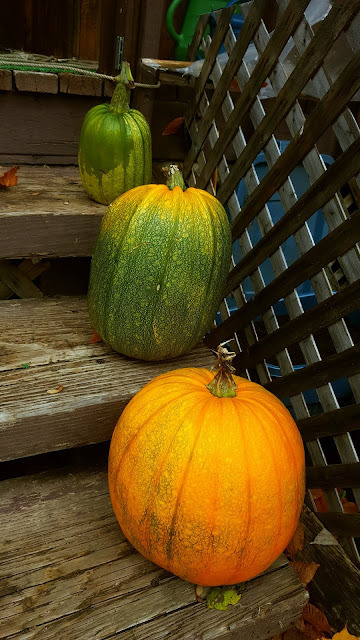 I have exactly 3 pumpkins too....one orange and 2 still on the vine that are green and one is starting to turn orange. We have a longer growing season than you so I am leaving them out there for now with just the orange one on the stoop. I did put my ceramic jack o' lantern in the window that lights up and my ghosts are hanging in the trees. I also have my Halloween 'book' coming in the mail and maybe a Halloween or Fall cross stitch...we'll see. I too like to make a big deal out of holidays and I even have some Fall yarn but haven't decide what to do with it yet. I need Halloween sock yarn! LOL! Enjoy all your special moments....one can never have too many of them! Hi Rain, the food looks great as usual. Don't forget that November the 5th is Bonfire Night. Please feel free to celebrate that. It's a British tradition that I think you'll enjoy. We make a bonfire that we set light to in the dark. We have fireworks and eat burgers..Drink is usually beer but that is optional.i'm not into Halloween. The people who do 'trick or treat' really pissed me off one year so I don't bother with it. Bonfire night is big over here though. Everybody celebrates it. It's not really a celebration though, more of a commemoration . The best thing about Halloween is the end of it. Why the hell celebrate it? I've seen a Canadian programme called 'the next step' on my BBC iplayer. As soon as I heard them speak I thought "they're Canadian". It's not a great programme but i watched it for the hell of it. I like the accent more than anything else. 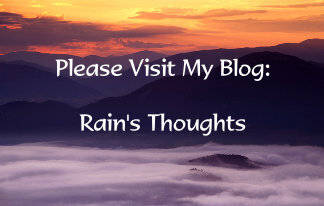 rPhew, I just caught up with your blog posts. My mouth waters everytime I read all about your cooking. You truly inspire me and make me want to fly out to my kitchen and whip up something exotic and enticing. Actually I just ordered pizza lol. Guess I will go make a loaf of bread instead. I m happy to hear the fur babies are all getting along now. That will make your life so much easier. Thanks Pam :)) I guess I never really had a childhood, so I'm "playing" now as an adult lol! :) Pinterest has SO many ideas for every holiday, I love going there for ideas!! Thanks Kristina :) Next year I hope I have more! Hi Mama Pea :)) I need to top my last year's food ideas! There are so many fun ideas out there! Oh I'm looking forward to your blog post. I wish mine had grown more...I couldn't even tell if the ones that grew were the ones I planted into the ground or the ones I transplanted because it was such a jungle in there. Hi John :) The lemon tree isn't difficult at all. It just took forever for the first lemon to show up. But as soon as it's 15C and below, it needs to be inside near a sunny window. I make sure to fertilize it twice over the winter too, and it survived last winter! Hi Rosemary :) Ha! You should make the hairy spider dip for you and your hubby! :) Thank you :) My lemon tree stays in the window in my office. I had little white spots last winter, but I was babying that tree so much and I wiped it off every day...I still am not sure what that was...sooty mould maybe? I'll have to look that up. Hi Sam :)) Oh go back and get that pot!!! :) They are not easy to find if they're in good condition! We were looking for ages at the thrifstores then finally gave in and bought a new one, not cheap. But oh so worth it!! I think you should make a fondue for yourself! :) I used to make fondues often when I lived alone too, more cheese for me lol! I just looked up Mad Housewife wines, very cute label!! We don't get half the stuff you have in the States...actually Quebec mostly focuses on French wines, which I'm not too partial for, so we often drive to Ontario once a year to load up on wines we can't find here. Red goes with EVERYTHING...white goes with EVERYTHING...I don't follow the (in my opinion) antiquated idea of red with meat and white with chicken type of thing...I have some fondue recipes that call for red wine too. 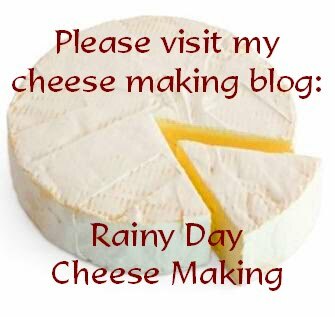 I think that red wine has an extraordinarily good pairing flavour for strong cheeses so I'd go for it! White is so subjective though...most whites give me heartburn. I can drink Australian Chardonnays only because they are less acidic, having more time in the sun before the grapes are harvested. Otherwise we both like sweet whites, like the German sweet wines, and Moscatos which are also sweet whites. If you ever come across an Italian white wine called Nivole, it's fabulous. It's a sweet Moscato with just a little carbonation. Kind of expensive though, at least here! My basil died last winter...Kristina from Pioneer Woman at Heart seems to have a secret to keeping basil all winter though! My only herb that lasted past Christmas last year was the chives. The parsley barely held on. I'm going to try a bit harder this year though. I may try somehow to insulate the pots so they don't feel the cold from the window so much! It's the same with the lemon tree! I have a heater under my window and we get a lot of sun in that window, so that's my only secret! :) I don't think I've ever pruned my lemon tree yet...the leaves just fall off I guess when they want to. And last but not least (long reply!) thanks again for that suggestion, I ordered some Halloween books from Thriftbooks yesterday!! Love the pumpkins! I suspect your green ones may turn a bit more orange before the fateful event. I picked one that was solid green and in about a month it was orange. Love the Halloween food! Those pizzas are exactly what my son and I were talking about yesterday....I think we will make them for one of our Sunday dinners! Bonfire Night is something I've read about previously, the Guy Fawkes Night. I like the idea of a bonfire, but we can't really do that here...maybe I can improvise with a fire in the fireplace! I love that you celebrate monthly...I think more couples should do things like that. Those Halloween food ideas are fantastic!! You know, I need to haul out my fondue pot. Even fondue for one is better than no fondue at all, right? Looks like another pumpkin is putting some effort into oranging up. I just hauled in my lemon tree and it is loaded with lemons. Now I have to baby it along. 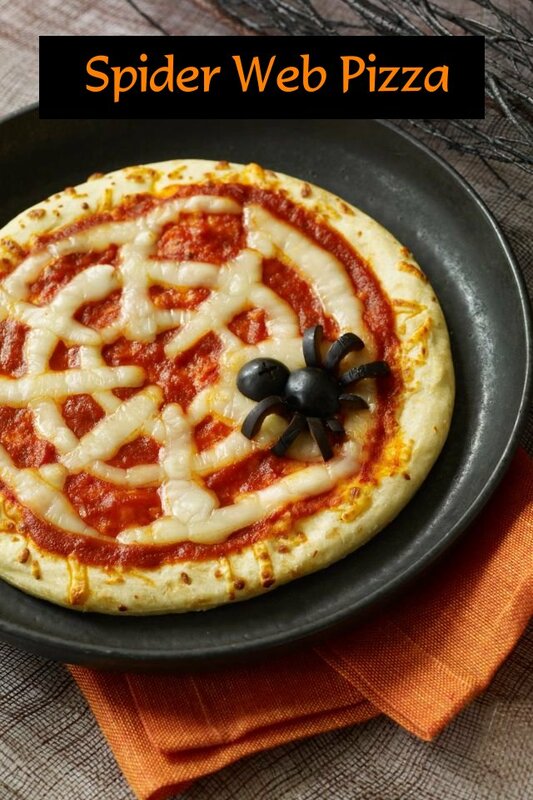 Love the Halloween food! Your pumpkins are so cool! How awesome to have grown them yourself. That is lovely that you celebrate monthly. Thanks Starting Over :) It's fun to do each month! Thanks Nancy :) I wish I had another big sunny window though, this is the only one in the house! I don't know how I'll fit all of my seedlings there next spring! Oh no Nik! Time to get another fondue pot!! !